PLAT-I has been developed in order to access sheltered lower resource sites around the world in places such as Asia and South America where tidal and run of river energy can be directly competitive with expensive, unreliable, and dirty local electricity generation methods. Part of PLAT-I's development has been funded by Innovate UK and the Department for International Development, and as a result the first PLAT-I platform has been extensively tested in Scotland during 2017 & 2018. PLAT-I #1 s now installed at Grand Passage in Nova Scotia forming the initial platform in a commercial deployment, please follow our news section to find out more. PLAT-I’s design has been developed through numerical modelling and scale model testing at the University of Edinburgh’s FloWave test tank. Its trimaran design to provides low resistance and enhanced lateral and longitudinal stability. The mooring turret integrated into SME’s proprietary design enables alignment with tide or river flow in any direction. 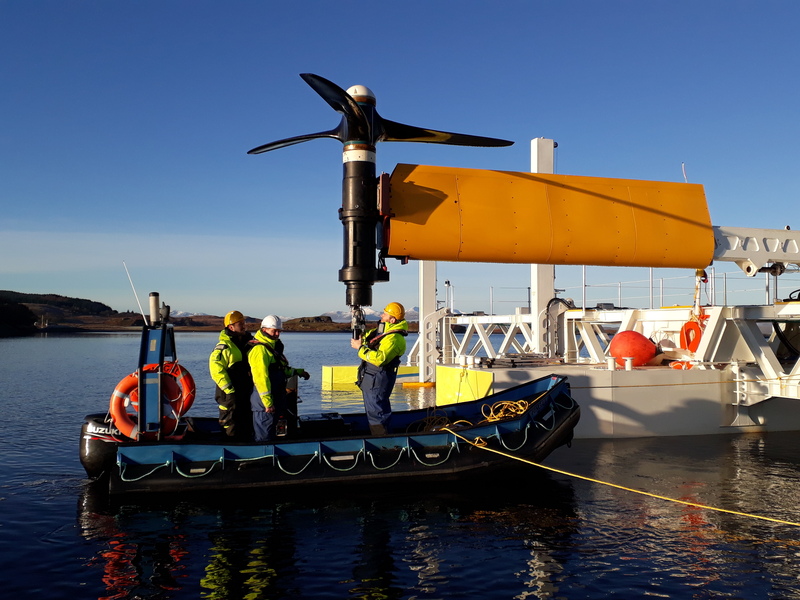 The unique in the industry swing up turbine deployment modules (SDMs) allow access to the turbines above the surface of the water, and coupled with the low mass of the SCHOTTEL turbines allows blades and nacelle to be swapped out at site. The modular design can be broken down for shipping and road transportation allowing assembly close to installation site.